Divided in two municipal districts of Capri and Anacapri, it’s the only place of the Bay of Naples that isn’t volcanogenic. The island shows its calcareous nature with its beautiful steep dolomitic walls and many natural caves which make it famous all over the world. 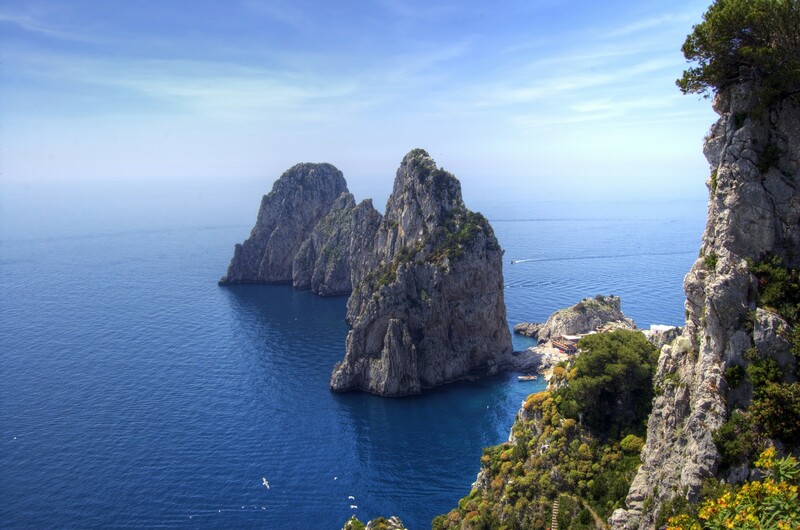 There are different etymologic origins for Capri: Capreae, for its peculiar structure and its fauna characterized by wild goat, or Kapros, a greek name for “wild boar”. 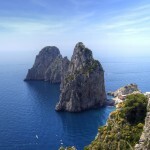 Capri was peopled since the old times, when it was still a continuation of Punta Campanella, with which it presents some similar geological characteristics. 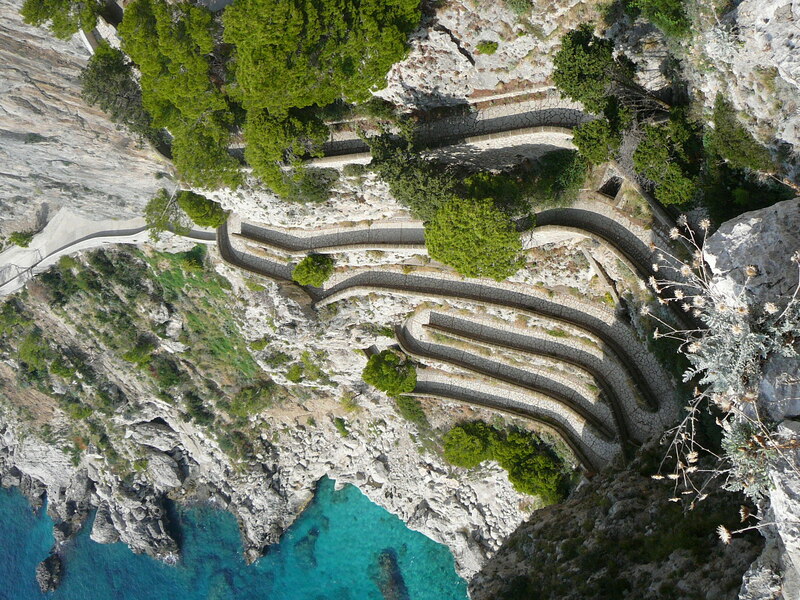 The Greeks arrived on the island between VII and VI century b. C. and they built a Phoenician staircase to link Marina Grande and Anacapri; the presence of the king Augustus was very important for the island, as well as the one of Tiberius, who spent 11 years on Capri. During the XVIII century the town flourished; in 1806 the French made here some garrisons, but the English took possession of everything. In 1808, Gioacchino Murat reconquered the island and built many fortifications, whose ruins are still now visible. 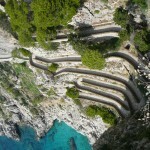 Capri became the residence of many writers, who here drew inspiration for their works. Thanks to the beauties, to the mild climate, it’s still nowadays one of the favourite destination for many artists and common people. So called for the peculiar colour of the water because of the reflection of the sunlight, it was famous even at the time of the Romans, when the king Tiberius made it as his private nymphaeum; at the seabed were found some statues of the pagan divinities. For a long time the grotto remained unknown, because the fishermen believed that here lived some evil spirits. In 1826 was rediscovered by the German painter August Kopisch and his friend Ernst Fries; since then it’s the favourite place of thousands of tourists.